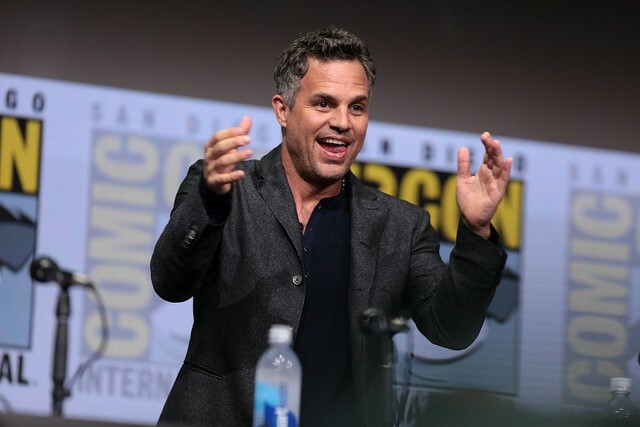 Callicoon-Based Actor to Star and Co-Produce the Mini Series "I Know This Much is True"
Mark Ruffalo speaking at the 2017 San Diego Comic Con International, for "Thor: Ragnarok", at the San Diego Convention Center in San Diego, California. “I Know This Much Is True,” a new production starring Mark Ruffalo will begin filming in the Hudson Valley in April, and an open casting call specifying “Local Hires Only” has drawn so much interest that the auditions have been moved to the Mid-Hudson Civic Center to accommodate the anticipated crowd. HBO is still not saying much about production of the 6-episode miniseries, which is based on a novel of the same name by Wally Lamb, but the project was fast-tracked for development in October of 2017, then “greenlighted” last fall. But here in the Hudson Valley, where the project is being filmed, details are beginning to leak out: there’s talk of locations being scouted in Poughkeepsie’s Mount Carmel neighborhood, and the Ulster Town Board has granted HBO’s request to close a four-mile stretch of Route 209 for 12- to 24-hour periods in April, June, and August for the filming of highway scenes.The shoot is scheduled for April 1 till September 30. Ruffalo, who lives in Callicoon with his family (his wife, Sunshine, operates a Narrowsburg boutique called Sunny’s Pop), is a three-time Oscar nominee, a Tony nominee, and an Emmy winner who’s won the hearts of many Hudson Valley neighbors through his high-profile advocacy for environmental and social justice. Ruffalo worked on developing the project with Lamb for a full two years before HBO gave the go-ahead, and the two share executive production credit with writer/director Derek Cianfrance (The Place Beyond the Pines). Other executive producers are FilmNation Entertainment's Ben Browning and Glen Basner, as well as Gregg Fienberg and Anya Epstein. Casting directors are seeking actors of all ages for both speaking parts and “background” or extra work. Auditions will be held from 11am-4pm, Saturday, February 23, at the Mid-Hudson Civic Center, 14 Civic Center Drive. Don’t get left behind, make sure you fill out the Google form first.